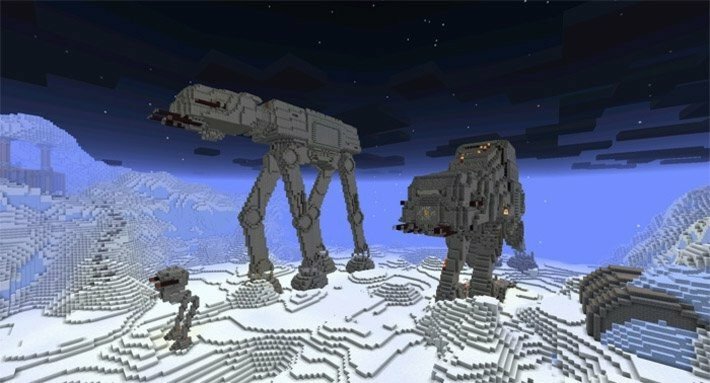 This map for Minecraft copies the battle on the planet Hoth - one of the key episodes of the original Star Wars trilogy. During exploring you will see not only the familiar landscapes, but also such famous vehicles as AT walkers or Millennium Falcon. The map is not intended to play in survival but it's still fun, especially if you are Star Wars fan. And copy the map in to the "/storage/emulated/0/games/com.mojang/minecraftWorlds" folder. MCPE Master is a unique app for Minecraft PE 1.10.0, allows you to automatically install mods and maps. Toolbox is a multifunctional app for MCPE, it serves as a launcher with a capability to install mods. BlockLauncher PRO - is a must have app for those who aimed at serious Minecraft PE mods, not on the silly addons. Team Fortress 2 map recreates 2fort map from the original game, features all classes and a game mode. Copyright © 2016. We are not affiliated with Mojang AB.